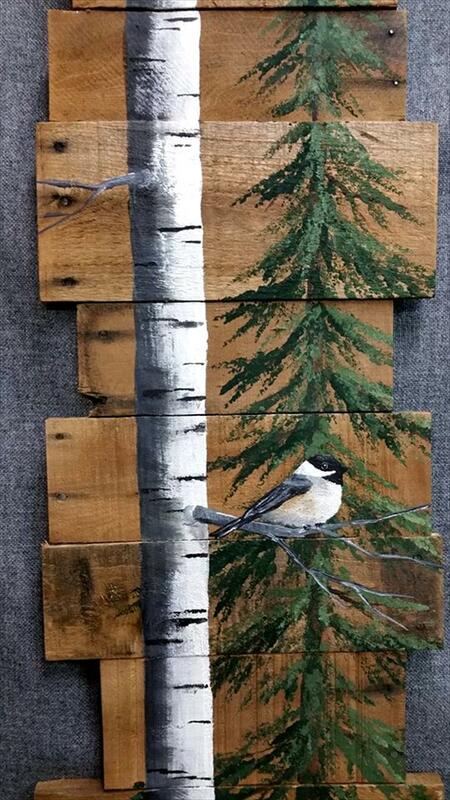 Not only the letters, quotes or shapes, one can even shift his personal pictures or fancy art pictures to pallet boards for awesome visual wall art centerpieces! 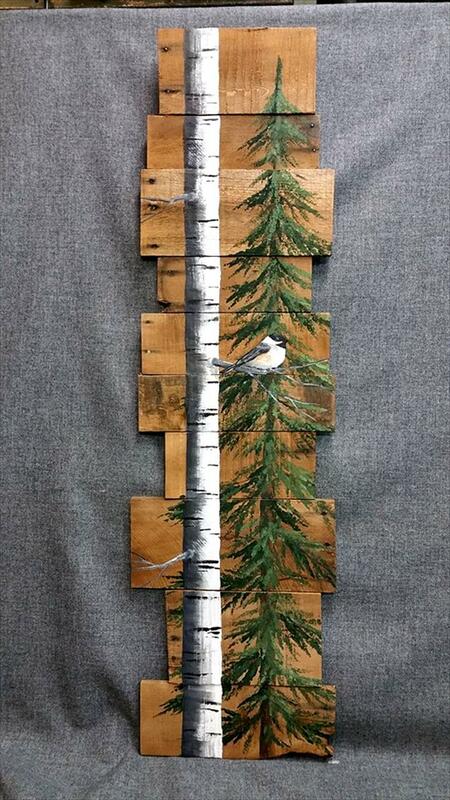 You can read a little about amazing pallet picture transfer explained in different pallet projects given on our site before you take a look at this DIY pallet visual tree and bird wall art pieces, a pure handmade piece to spice up your interior walls!Just join the pallet scarp for custom wooden geometrical boards and just shift your favorite pictures or drawing to those boards for highly stimulating wall decors and art pieces, the given is having a tree and a white tree stem and also a bird sitting on a tree branch, this will really give a natural touch to entire ambiance of targeted room!Rusticity of pallets will give a rustic touch while painted art will bring an instant decorative vibe to that particular wall area, so do clone this visual art pieces made of pallets if having some pallet remains lying in your home! Wood always goes friendly to additional paint coats, so one can also drawer different art shapes or painting over pallet made boards for fancy wall art pieces and decors! This is here a mind-blowing suggestion! Go with easy picture transfer method to shift your real pictures also to pallet boards and this really makes your picture look antique and visually attractive! 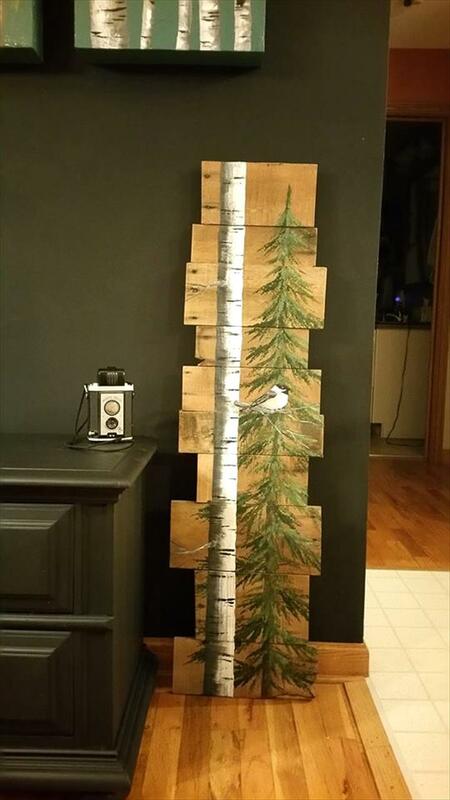 Here this wooden pallet wall art comes with tree and also with a bird sitting on a tree branch this will give an instant natural decor touch to your targeted wall area!